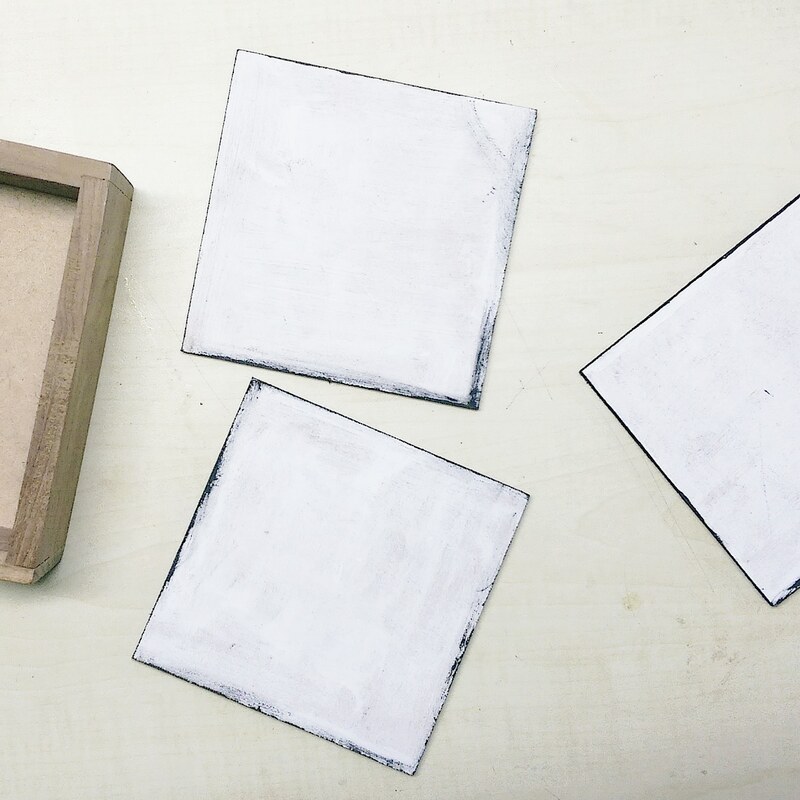 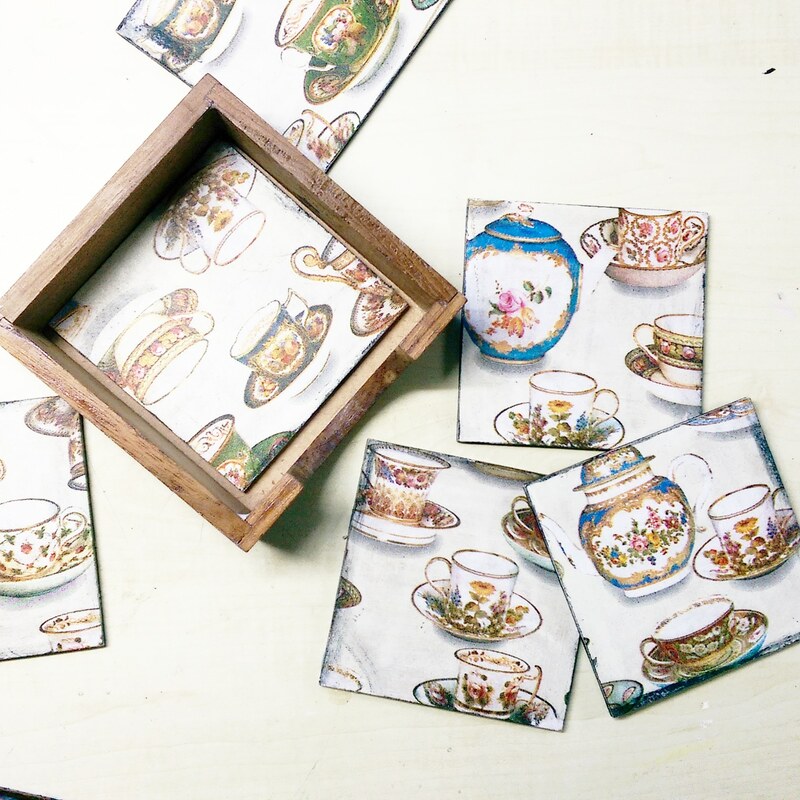 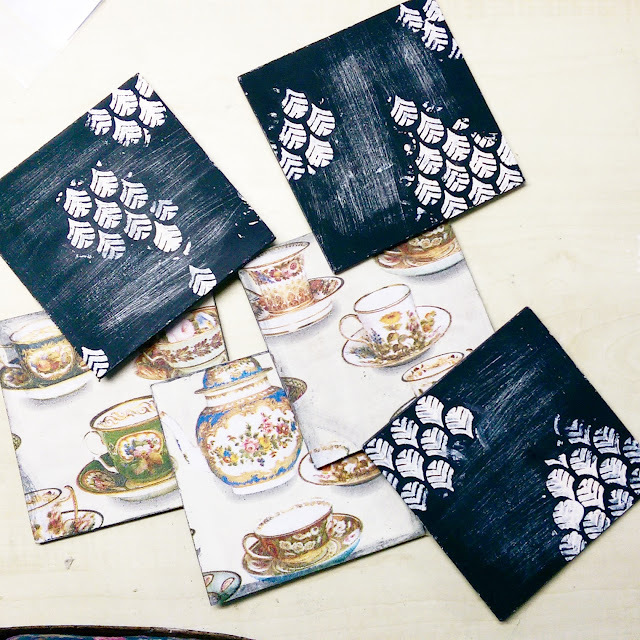 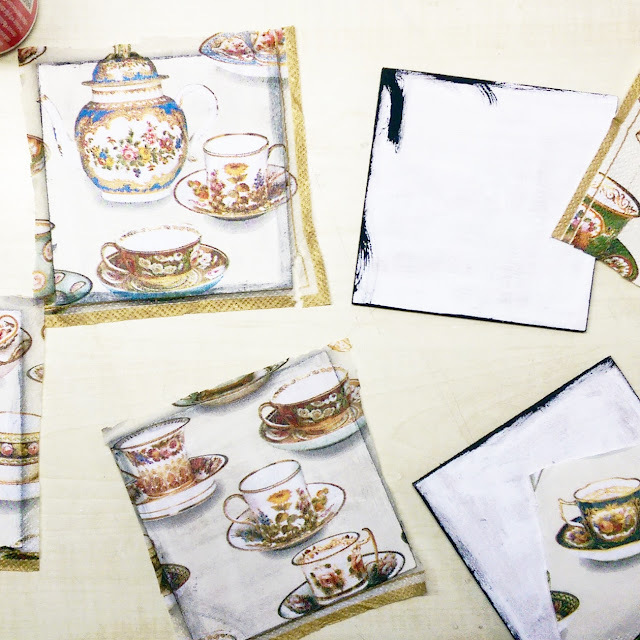 I , Manasa Priya from UPCYCLED am here on PRIKA’s blog today with a quick and easy tutorial on making some chic coasters to revamp your coffee table . 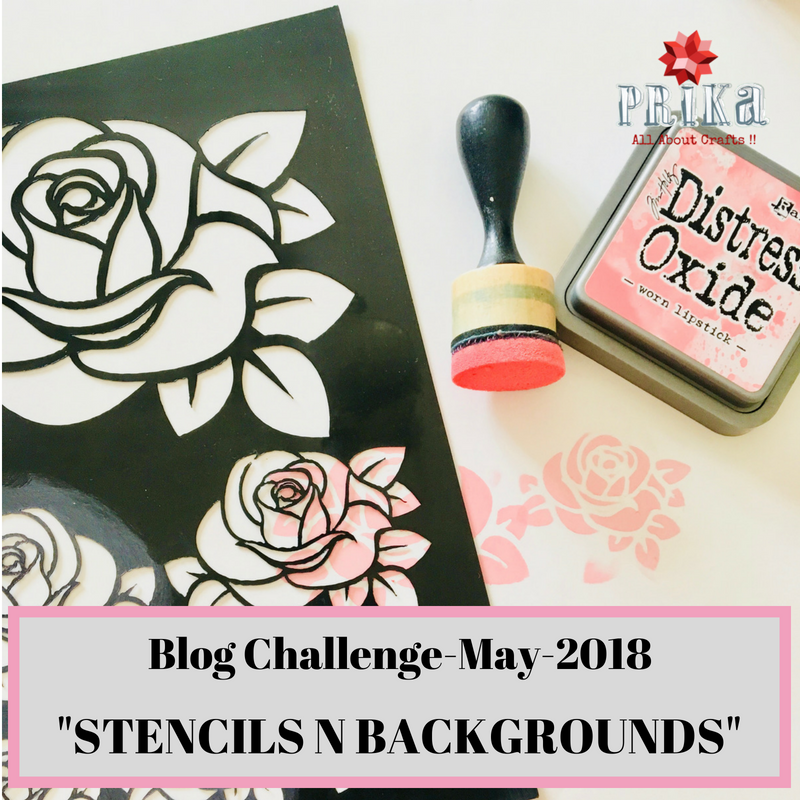 I was thrilled to know that this month’s challenge in Prika’s blog is stenciling. So I immediately geared up to make a quick tutorial. Step.1: Prepare your surface with a thin layer of Gesso . I painted both sides of my coaster in white Gesso. 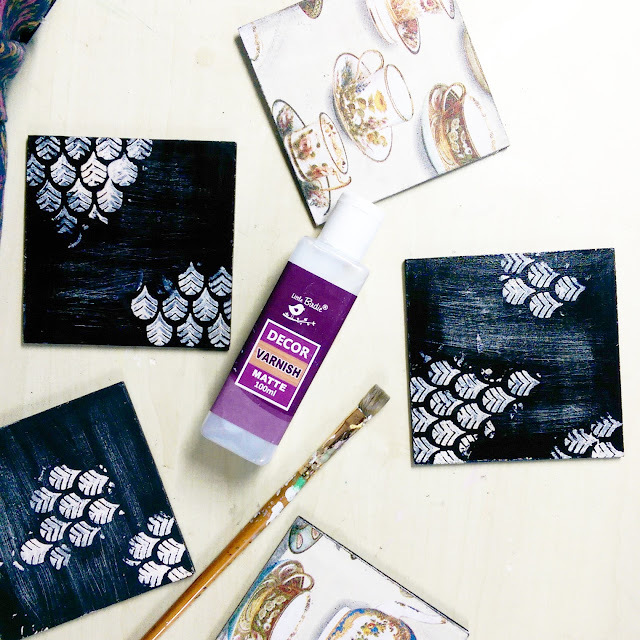 Step.2: One one side I painted thin layer of home decor wax here and there. 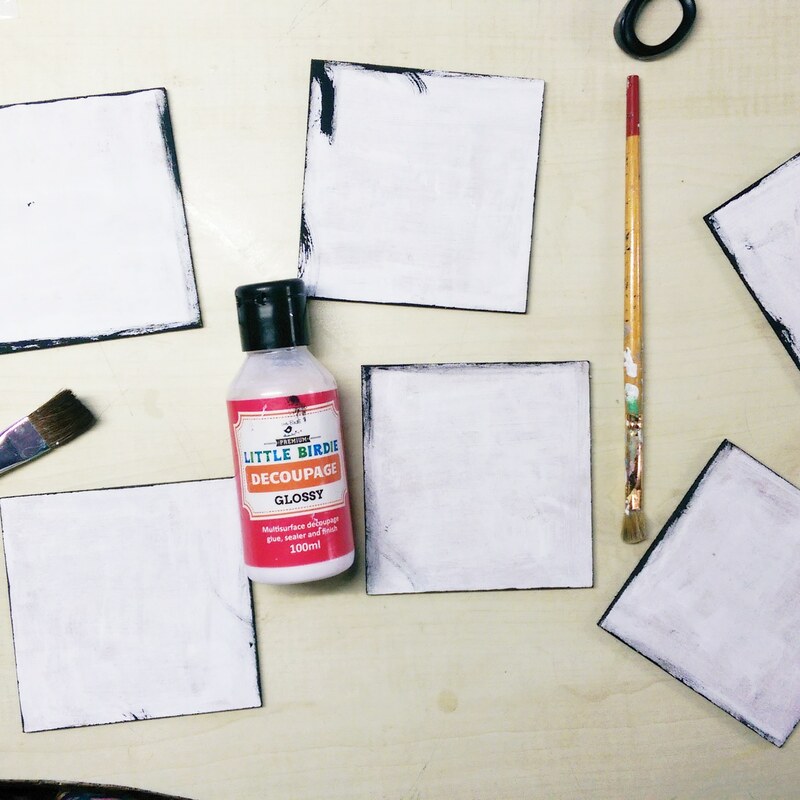 Step.3: Once the wax is dry. 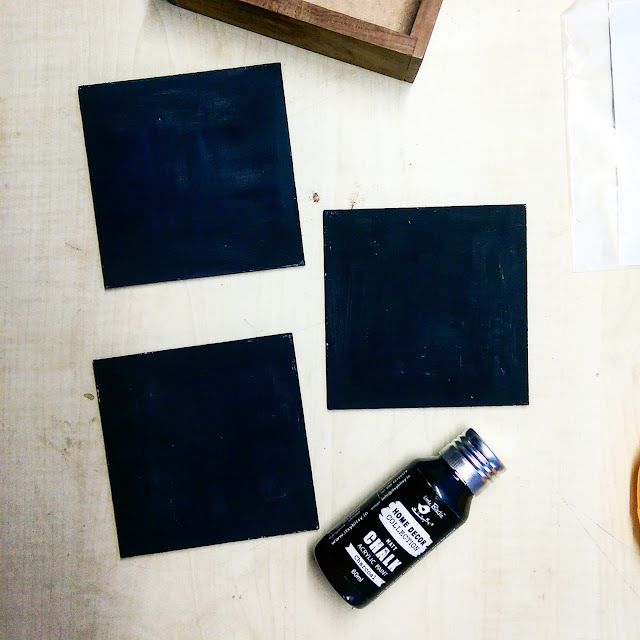 I painted black chalk paint on the waxed side and edges. 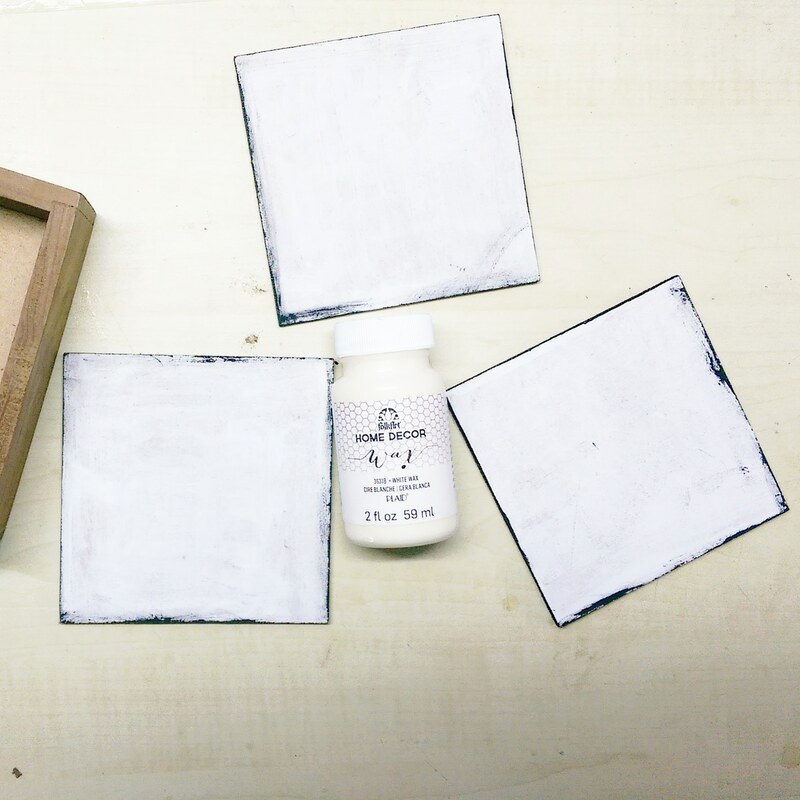 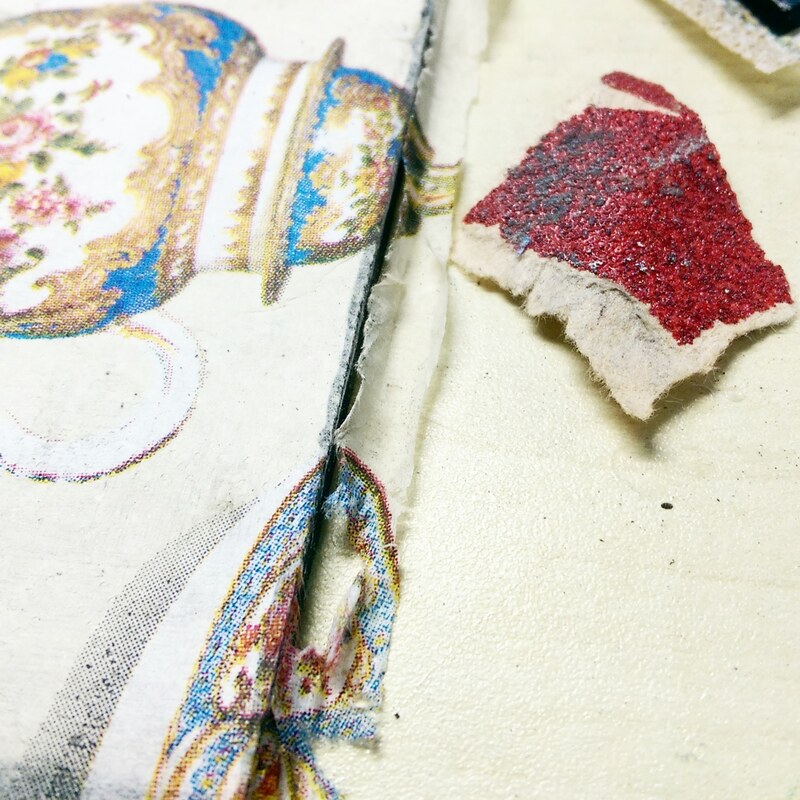 Step.4: Using a sanding paper, I gently rubbed on the chalk paint to give it a distressed look. 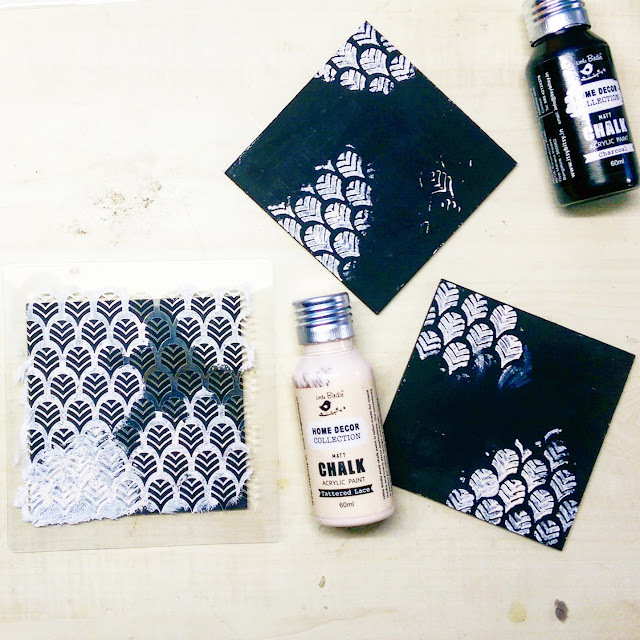 Do give it a try and let me know how it worked for you. Don’t forget to clap a 100 times if you like my project tutorial.